The purpose of this study is to explore the structural relationship between school violence experience and mental health using Stress and Coping model by Lazarus & Folkman (1984) as theoretical models. 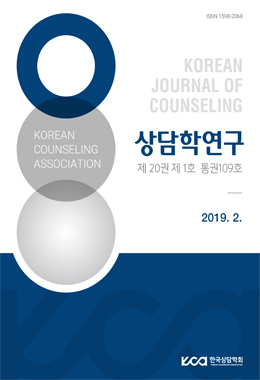 This study was analyzed using the 2nd year data from the year of 2014 by Korea Education Panel Study of Korean Educational Development institute (KEDI). The results were as follows: First, school violence experience showed a direct impact on one’s mental health. Second, social support was partially mediated the relationship between the school violence experience and mental health, but the level of school violence risk-perception did not partially mediated such a relation. Third, school violence experience affected the level of school violence risk-perception, and school violence risk-perception level affected the social support appearing to be dual mediating effects on mental health. The implications of this study are to understand the impact of school violence experience based on stress coping model recognizing school violence experience as a stressor and to verify the causal relationship between school violence and mental health.